With Wolves picking up the Championship title in 2017/18 and knowing that Premier League football awaits us next season, one phrase has been uttered by plenty of fans on the world wide web over the last few weeks. “Announce Boly” has quickly infected Twitter and can be found on almost every communication from the club – in many cases it appears more than once as well as fans politely provide the club with a hint of one of the first deals that want to see got over the line as preparations for the year ahead continue. With those calls only set to get louder with the transfer window open, the Express and Star appear to have some good news to offer. 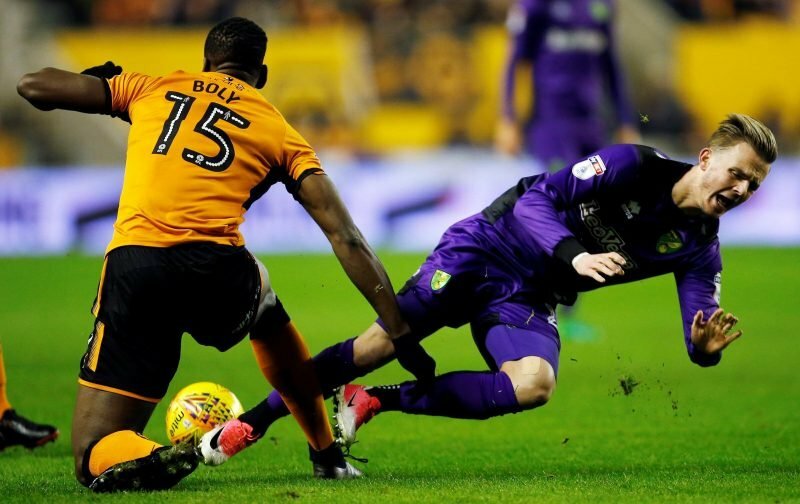 They have claimed that a fee and deal for Boly has now been agreed. Additionally, Tim Spiers offers that Jota will follow for £13million but it doesn’t appear that we will be taking the option we hold on Leo Bonatini – but as with other options we hold – decisions don’t have to be taken until the end of the month. Fans are rightly pleased with this news and plenty of other outlets are now carrying the same, so it does appear only a matter of time before the paperwork is completed. 10m is an absolute steal!!! To get Boly over the line could be the signing of the summer. Looks likely to make the step up to the Premier League…if anything the Championship seemed too easy for him at times. One of the most accomplished defenders seen at Molineux in the past few decades.